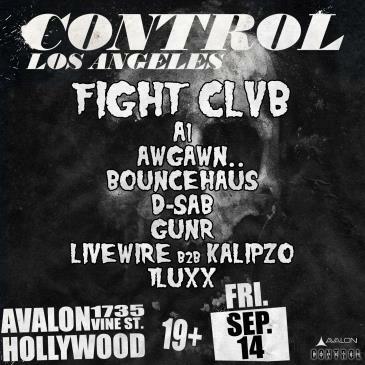 Avalon Hollywood is proud to present another edition of CONTROL Friday’s on September 14th. They will be bringing electrifying duo Fight Clvb to Avalon and they will feature up and coming local talents in A1, Awgawn, Bouncehaüs , D-Sab, Gunr, Livewire b2b Kalipzo, and TLuxx. Hailing from New York City, the mysterious duo by the name of Fight Clvb will be gracing the famous Avalon Hollywood decks. Known for their versatile and energetic sound, it was only a matter of time that the two would come to the city of angels to showcase their massive sound. Sav & Mystereo blew up after releasing a 4 track EP ‘Savage’ under the fabled Barong Family label. Showcasing their jungle and wild sounds, the duo is hot off a guest mix on Diplo & Friends just this August so be sure to come to Avalon to witness this up and coming act by the name of Fight Clvb. This week at Avalon Hollywood will be a special one as it will showcase the rising talent in the area with it featuring 9 local DJ’s. They will be giving their all to make sure they leave an impression on you as A1, Awgawn, Bouncehaüs , D-Sab, Gunr, Livewire b2b Kalipzo, and TLuxx will be taking over the rest of the night after Fight Clvb. 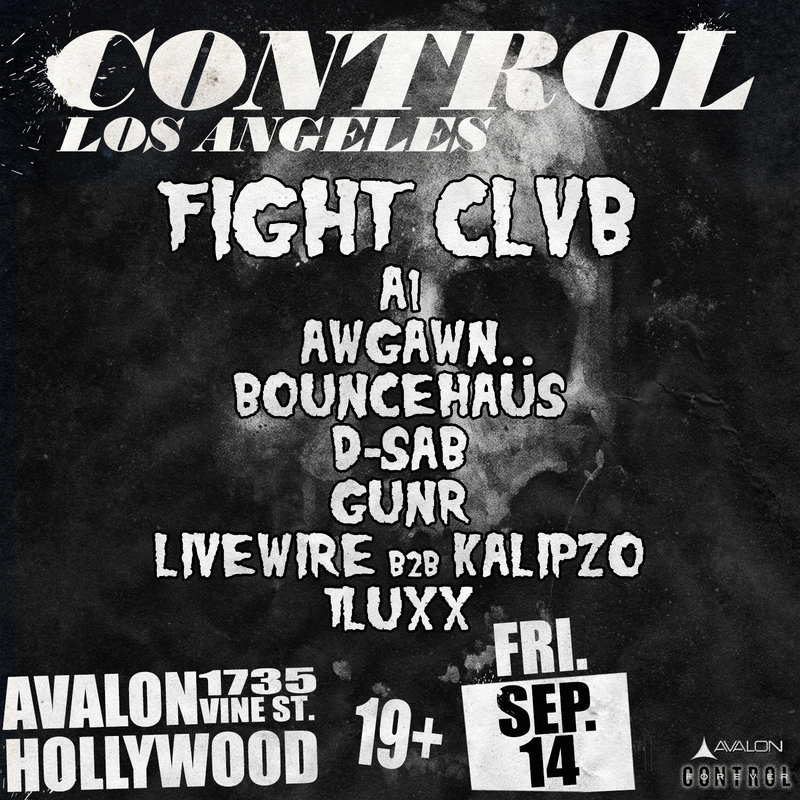 Mark your calendars for CONTROL at Avalon this Friday as Barong Family’s own Fight Clvb will make it an unforgettable night with local support by A1, Awgawn, Bouncehaus, D-Sab, Gunr, Livewire b2b Kalipzo, and TLuxx on September 14th.